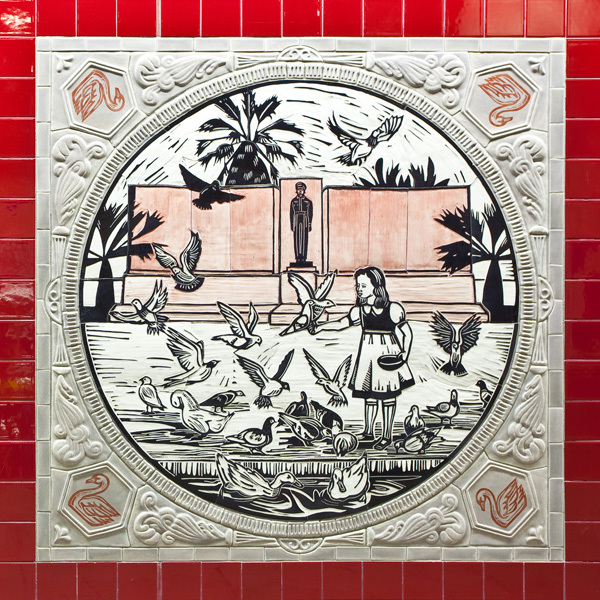 Metro + Art + CicLAvia in the "Heart of L.A."
One of 13 ceramic mosaic tile artworks by Sonia Romero. 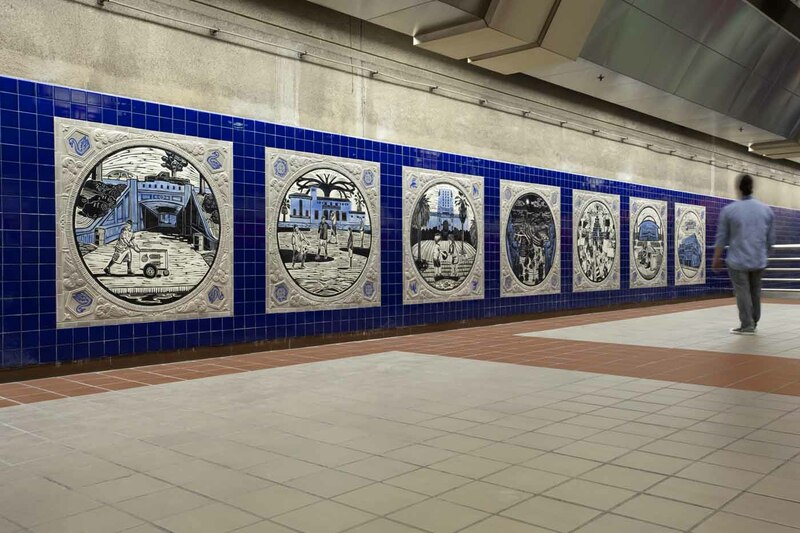 The mosaics are located on two facing mezzanine walls at Westlake/MacArthur Park Station. Photo: Metro Creative Services. This Sunday, when you’re walking, cycling or skating your way through the streets at CicLAvia, enrich your mind, ears and eyeballs with art, special events and activities along the way! Pedestrian Zones at the north, south, east, west and middle of the route present a variety of creative offerings to those moving at a leisurely pace—and four of the five zones are conveniently served by Metro stations. Take Metro to CicLAvia via the Expo, Red, Purple, Blue or Gold Line and explore L.A.’s unique artistic landscape along the way! Traveling east to west from Mariachi Plaza to MacArthur Park, and north to south from Chinatown to the African American Firefighter Museum, here is a tiny selection of art, events and activities in and around Metro stations and CicLAvia hubs touching (or very close to!) the route. For many more details and a full schedule of activities, click here. On of 12 neon sculptures by Stephen Antonakos at Pershing Square Station. Photo: Metro Creative Services. 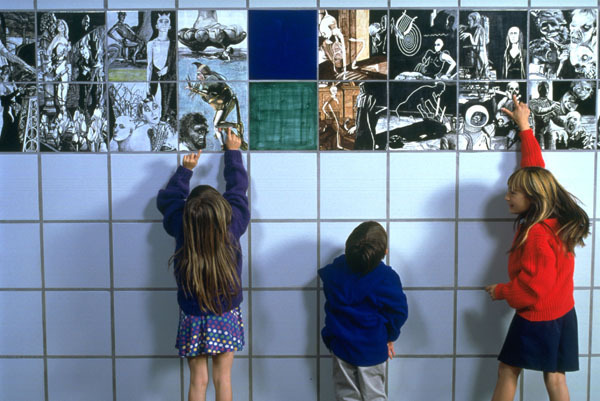 Detail, one of two ceramic tile murals by Joyce Kozloff. 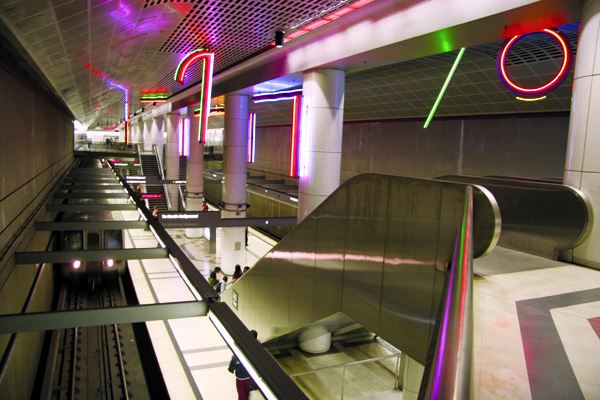 The artworks are located on the mezzanine level at 7th Street/Metro Center Station. Photo: Metro Creative Services. Seven of 13 ceramic mosaic tile artworks by Sonia Romero. 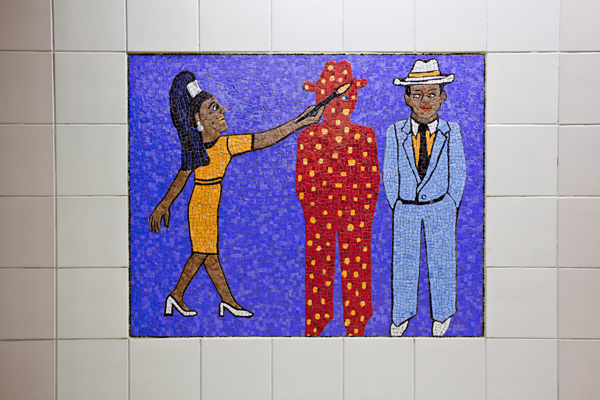 The mosaics are located on two facing mezzanine walls at Westlake/MacArthur Park Station. Photo: Metro Creative Services. 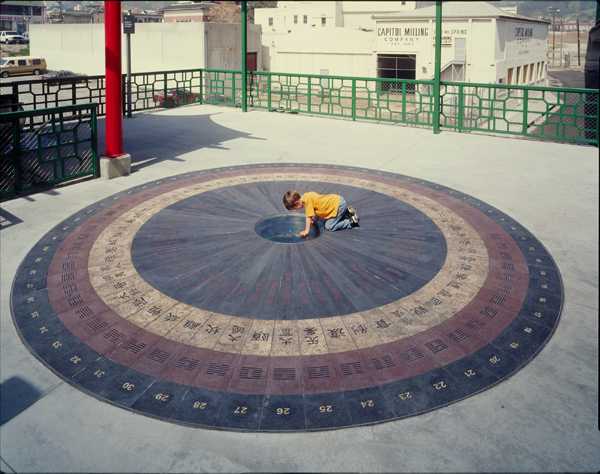 An I-Ching based compass and granite dial on the mezzanine, by Chusien Chang at Chinatown Station. Other components of the artwork are located at street level. Photo: Metro Creative Services.